There’s this one thing that is so completely awesome about the guitar. I love the fact that you can choose to be in two complete different worlds. One moment I plug in my electric guitar to make it rock, scream, tear up the place and feel ecstatic. And the other time I want to indulge in beautiful acoustic guitar songs and get swept away by melody, harmony and lyrics. It’s the best of both worlds. Today were gonna look at same great songs to do the latter. As with all lists on this blog they are here to give you inspiration. The lists are in no particular order and totally incomplete. And it doesn’t matter, what matters is that you grab your guitar out of the stand and start playing it after reading and listening to this post. Maybe you’ll hear a song or artist you haven’t heard before and find yourself pleasantly surprised. Probably you haven’t heard some of the songs for quite a while and it makes you feel good to hear them again. You might consider learning one of these songs and adding them to your repertoire or get inspired to write a song of your own. 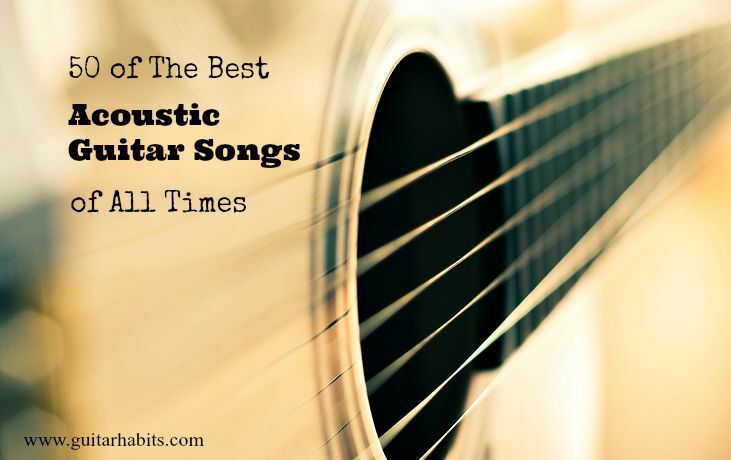 What’s your favorite acoustic guitar song? I’m sorry, but barely any mention of acoustic greats. John Martyn? Nick Drake? Martin Simpson? Fair enough you’re approaching from a rock-orientated standpoint though…. Lists like these come down to personal taste, but since you like Ryan Adams you should give Uncle Tupelo’s album March 16–20, 1992 a listen. After Uncle Tupelo pretty much defined the modern alt-country genre with the electric guitar driven albums “No Depression” and “Still Feel Gone” they released one of the best acoustic albums you will ever hear. Oh and a big second on Paul’s Nick Drake suggestion. I will have to check out his other recommendations. Like this list or not there are songs worthy of playing here. The beauty of being a musician is playing what appeals to you, not some songs that appear on a list somewhere. Wow! No Alice in Chains? They put out 2 amazing acoustic albums. I feel No Excuses, Nutshell, or Brother should be on here somewhere. (Did I miss them?). Any solo Lindsey Buckingham. He perfectly distills rock down to one voice and one guitar. Don’t know if you can find it but if you really like rock-oriented acoustic guitar you must check out a song called Movies from a 70s band called Hookfoot. I can’t believe Richard Thompson didn’t make the list, especially his superlative ‘1952 Vincent Black Lightning’. Please revise. Astonished that ‘The Clap’ by Yes from The Yes Album was not included. Thanks for the tips. I really appreciate that. I will definitely check out those albums. Thanks everyone for sharing your favorites and giving me inspiration in return. And probably a dozen others I can’t think of right now. No Joni Mitchell! You cannot be serious. I favor it as number 1 easily. I am sure you have received comments like “you forgot ….” Or “what about ….” In any case one heck do a post!!!! You made me sit back, drink 4 or 5 beers and listen to some of the greatest songs ever written and sung in some of the greatest performances. Thanks for the list I would not change a thing! BTW…What happened to current music today? To all the current musicians…you better kick it up a notch! Create music as powerful as this list and you will never be forgotten. So, Stairway to Heaven doesn’t qualify? The first 5 or so minutes are acoustic………. Absolutely brilliant , pure acoustic guitar work. @Cklords. Dylan’s Times they are a changing is on the list. Beatles: Here Comes the Sun, Mother Natures Son, and Yesterday. Paul McCartney: Put it There, Jenny Wren, Bluebird, & Early Days! Acosutic, huh. Hotel Cali? The band arrangment ith the nice solo on the Martin, er Les Paul in the middle? Right. No band arrangements. Doc Watson Deep River Blues. Bert Jansch Anji. Jorma Kaukonen Water Song. Neil Young should be needle. Anything by Gary Davis or Skip James. After seeing all the other songs, (most of which I agreed with) the first one that came to my mind was “California Dreaming” by The Mamas And The Papas. very nice list klaus, i´m listing to it now. very nice especially early in the moring. Where are the Indigo Girls? Or Patty Griffin? Especially if you want to talk about “being swept away by melody, harmony and lyrics.” Your list is fine, definitely some gems in there, but terribly one-sided. You need to listen to more variety before you write a “Top 50” list. This is a great list. i wish there was a way i could put all these songs into a playlist. I totally feel what you are saying about the guitar having two worlds. I have been spending a lot of time in the world of melody and harmony laity myself as well so this list makes me happy. I love 32 – Sound of silence – Paul Simon and 40 – About a girl – Nirvana. I’m sure I will cover one of the songs in this list soon. If you haven’t heard Colin Hay’s acoustic version of “Overkill” from his solo album ‘Man @ Work’, you haven’t really heard this song. This has been my favorite acoustic guitar song for some time now. I like the mainstream version, but this one blows it away. For a taste, try listening to it as a sample on iTunes or amazon. BTW, if you decide to download it, DO NOT get the much shorter edited version off of the ‘Scrubs’ soundtrack. Led Zep’s Going to California. Tom Waits’ I Hope That I Don’t Fall In Love With You is absolutely beautiful. That entire album “Closing time” is awesome. You missed Alice in Chains mate! There must be one of Jar of Flys in there somewhere. Otherwise great list! …just listen to it… shouldn’t it be on the frist place? I have to say, even if you arent an Alice in Chains fan, it seems your missing the boat not to have one of their many fantastic songs on there. I get it though, there’s a LOT of great acoustic songs out there and your list is miniscule. For me, I’d at least add the acoustic version of Rooster, by Alice in Chains. i think though, its never going to be complete. I’d have a 500 acoustic songs you should know list. okay, i am done droning on, move along! oh crap, dont forget “Wish You Were Here”, by Pink Floyd. Can’t you see Marshall Tucker Band. One of the best! You guys forgot John Mayer!! In 1979, there was a benefit for Amnesty International called “The Secret Policeman’s Ball”. Pete Townshend played acoustic versions of “Pinball Wizard”, “Drowned”, and (in a duet with classical guitarist John Williams) an astonishing version of “Won’t Get Fooled Again”. Unfortunately the soundtrack for that show has never been available in the CD and digital download era, but you can often spot these performances on YouTube. Highly recommended. Here’s a few you should check out! And also agree with “going to California” by zep! Best song ever on acoustic guitar! John Mayer did actually make the list! “Good Riddance (Time of Your Life)” made the list! but what about plain white t’s hey there delilah? That should say Alvin Lee. John Butler Trio OCEAN ! Am I the only one that noticed there is no number 2? I agree any list is purely personal taste. That’s what’s so special about the arts and music. The world would be a boring place if we all liked the same stuff. For me i like a fair amount on the list but it needs some Led Zeppelin, Pink Floyd and one track off the 1971 “Foxtrot” album by Genesis; go check out Horizons on side 2 if you’re still into vinyl or track 5 on the cd. Wish You Were Here? Stairway To Heaven? Tears In Heaeven? “Never Going Back” and “Landslide” by Fleetwood Mac (Lindsay Buckingham) blows away ALL of these songs. So does “Mood For a Day” by Yes (Steve Howe). And “From the Beginning” by Emerson, Lake & Palmer. Also…”Silver Wheels” segue into “Crazy On You” by Heart (Nancy Wilson) blows away any songs on this list, too. Dream on Aerosmith is a necessity. Goo goo dolls, radiohead, led Zeppelin? If I had to pick ONE fave for Acoustic playing…I’d have to say: “Sweet Baby James”. I was somewhat sad to not see it listed instead of his “Fire and Rain”. Mr. Bojangles,Nitty Gritty Dirt Band, Leaving on a Jet Plane, John Denver, City of New Orleans,Steve Goodman, Alice’s Restaurant & Motorcycle song, Arlo Guthrie, Bobby McGee, Janis Joplin, Taxi, Harry Chapin, Please Come To Boston, Dave Loggins, Lady, Little River Band, Sailing, Christopher Cross, Lookin’ Out My Back Door, Credence Clear Water Revival. A good list of new music for me to check out…..
And by “Traffic” I meant Blind Faith! Thanks for mentioning that great song! Most of Peter, Paul and Mary’s work had splendid fingerstyle guitar work. My favorite is “Don’t Think Twice It’s Alright”. Paul Stookey also had some fine acoustic work going solo with stuff like “Sebastian” and “The Wedding Song”. “The Wedding Song” was supposedly “must learn” stuff for aspiring acoustic players in the 70’s (so they could play at their friends’ weddings). I’ll also recommend, don’t laugh, Bread. Most of their music was bubblegum pop songs about teen romance and such….pure sappy stuff…but the guitar work was sparkling. “Vincent” by Don McLean is an acoustic player’s dream. Great melody, poetic lyrics beyond belief, and requires some skill. Gordon Lightfoot has a large number of acoustic melodic and poetic songs in his catalogue. Mostly from the ’70s. Pearl Jam ballads, every Neil Young and Bob Dylan songs, Jakson Brown with “for everyman”. James Taylor with ” you got a friend”. This is the list I am searching for. 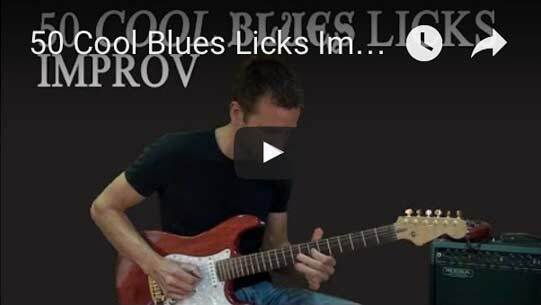 Every guitar lover should try this. Well, the entire list of song is outstanding, but the first song deserve the first position in the ranking. I just bought guitar few weeks ago right after get inspire by the riff of the hotel California. Please if you can help me out in any way to learn how to play hotel California, it would be great honor for me. Did I miss it or was Wish You Were Here not even listed? That tab is everywhere so that shouldnt be the reason. That’s the equivalent of not putting Michael Jordan on the list of greatest basketball players ever. Death Cab for Cutie gets a song over Pink Floyd lol. There are many songs on this list I never heard of. Many I have and are worthy of a list. If you’re an accomplished acoustic guitarist you should probably have about 500-1000 songs in your performance portfolio. About 8 songs from Bread. James Taylor is one of the very few people known for acoustic work on the list. Most of the artists were rock and pop artists and not even that many known for guitar. Where were Renbourn, Martin Simpson, Leo Kottke, Jerry Douglas, Bert Jansch, Richard Thompson, John James, Duck Baker, Davey Graham, Stefan Grossman, Pierre Bensusan, and all the other people who are actually fine acoustic guitar players unlike the (mostly) pop lightweights on that list? Emerson Lake and Palmer ‘From The Beginning’ Methinks the list should be edited. Death Cab? Really how about Lisa Loeb instead, Stay, Do You Sleep, anything from 9 Tails is better than anything Death Cab could poop out. Over the hills and far away – Led Zeppelin, with the hammer on’s and pull offs a classic acoustic song every guitar player should have on his list, well the first half of it at least.